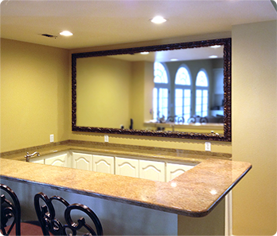 We at Texas Custom Mirrors build the most beautiful Framed mirrors and bathroom mirrors you will find available at Great Prices. 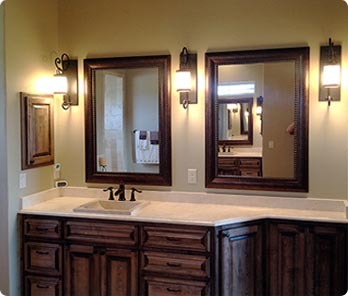 Our bathroom mirrors have many advantages over pre-built bathroom mirrors. Please read! 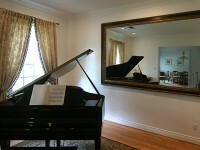 The first advantage of our mirrors is we can build to any size. 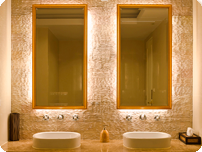 We can build our bathroom mirrors very large or small, in matching pairs and in verticles or horizontal. 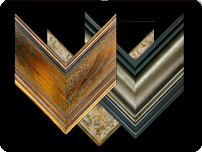 We manufacture framed mirrors or un-framed. 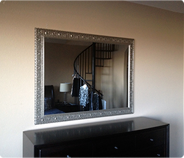 Our framed bathroom mirrors can be made with many framing options. 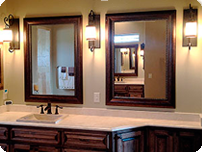 You many select natural wood bathroom mirrors, ornate or traditional bathroom mirrors. 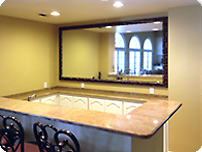 We offer rustic and western bath-room mirrors also. 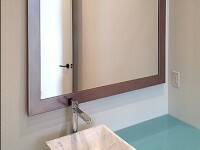 Do you need silver, nickel or contemporary bathroom mirrors?